The exhibition will kick off with a Public Grand Opening Reception on Friday, May 3rd from 4-7 pm. 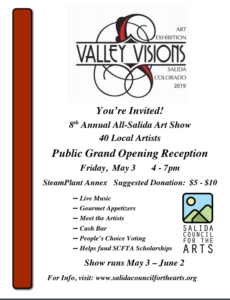 The event will feature gourmet hors d'oeuvres, live entertainment, cash bar, "meet the artist" opportunities, voting and presentation of People's Choice Award winners. 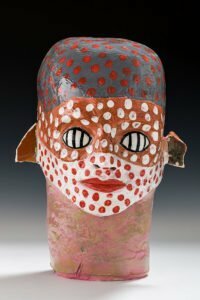 Come join us in the Paquette Gallery at the SteamPlant for the opening show of works from artist Ted Fish. Admission is free. Complimentary beverages and snacks.